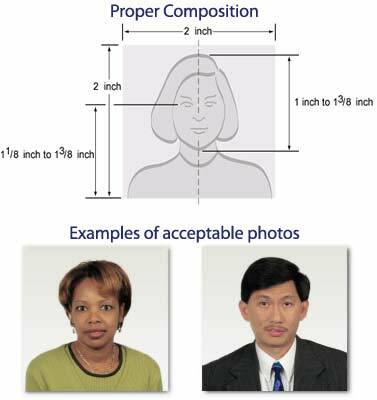 Recent changes in U.S. border policies require any U.S. citizen crossing into or returning from Canada or Mexico to have a valid passport, making this a perfect time to offer passport photos to your customers. Passport photo service is a quick and simple way to provide a basic, value-added service for any copy shop, printer or mailbox/shipping store. This equipment also works very well for creating company or school ID badges. To start off, you’ll need a camera that can take the appropriate sized pictures. Currently available solutions are now made up of a digital camera & printer system. It seems that traditional, silver-based film has met its end – most manufacturers have stopped making film-based passport cameras. 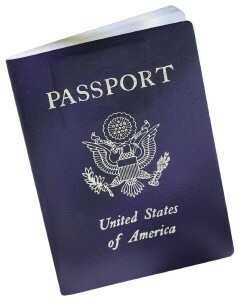 Most digital passport system printers produce ‘near continuous-tone’ colors, using methods like dye-sublimation – with no dots. Prints from ink-jet or color laser printers are not acceptable. You’ll need a solid color, “white only” background or drop screen – off-white or very light-gray are accepted but white is preferred by the Department of State. The subject should be positioned right in front of the background to avoid as much shadow as possible. Lastly, you need to cut 2 identical photos, each at a size of 2″ by 2″ squared. This can be done with a paper cutter – or very quickly and accurately using a passport photo cutter with just one push of a lever.